(maximum 3 students per group) or take a private course. 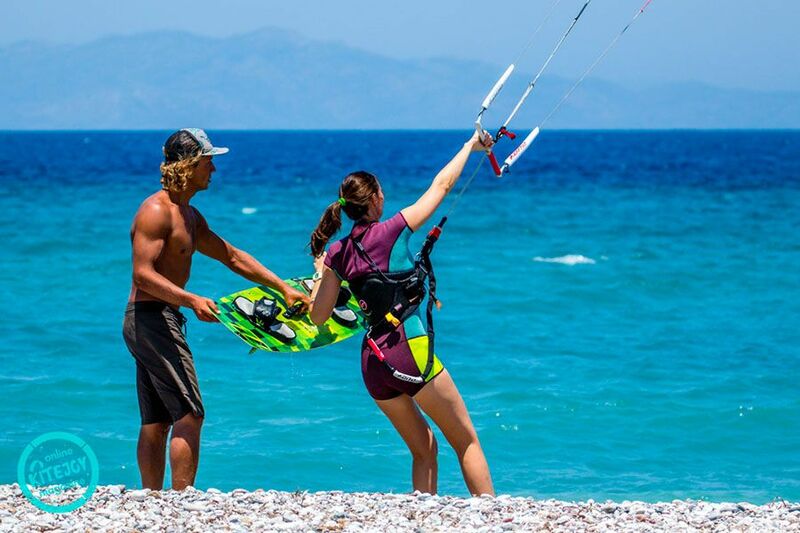 You will get all the essential information, learn how to control the kite, how to stand up on the board and we guarantee you will have a lot of fun on your first steps towards becoming a kite-boarder. Prices include all equipment, instructor, transfers, full use of beach facilities and rescue service if needed. 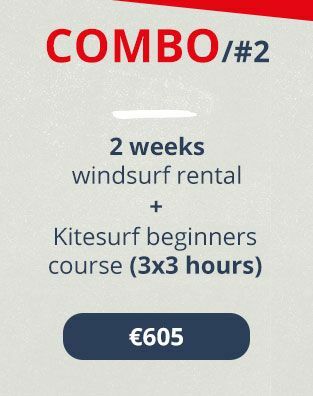 IF YOU HAVE ALREADY HAD SOME KITE-BOARDING LESSONS and have learned kite control, body-drag or water-start, you can continue with our course for INTERMEDIATE/ADVANCED KITE-BOARDERS (3 or 6 hours group courses) or private hourly lessons. We will simply pick up where you left off. 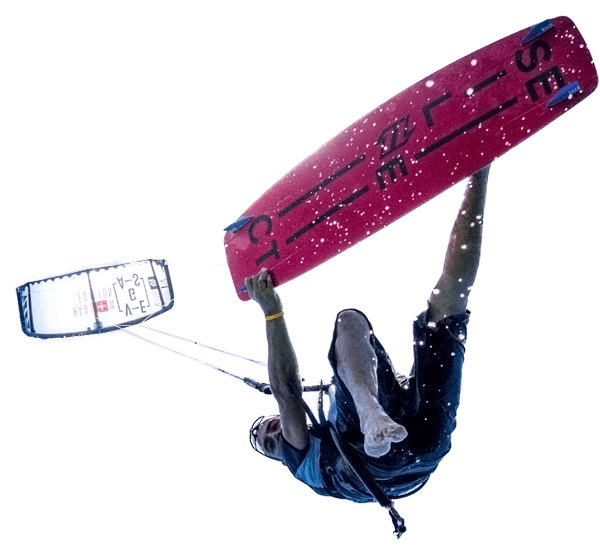 IF YOU HAVEN’T KITESURFED IN A VERY LONG TIME or just don’t feel confident enough in a new spot with different wind conditions then the REFRESHER COURSE or some private lessons would be suitable for you. Prices include all equipment, instructor, transfers, full use of beach facilities and rescue service if needed. IF YOU ARE AN INDEPENDENT KITESURFER and can kite upwind with no problem then you are welcome to rent equipment. We rent hourly, daily or weekly and allow you the flexibility of changing equipment, different sizes and models, whenever you like throughout your sessions. Also, you can purchase insurance for the equipment in case of damage. 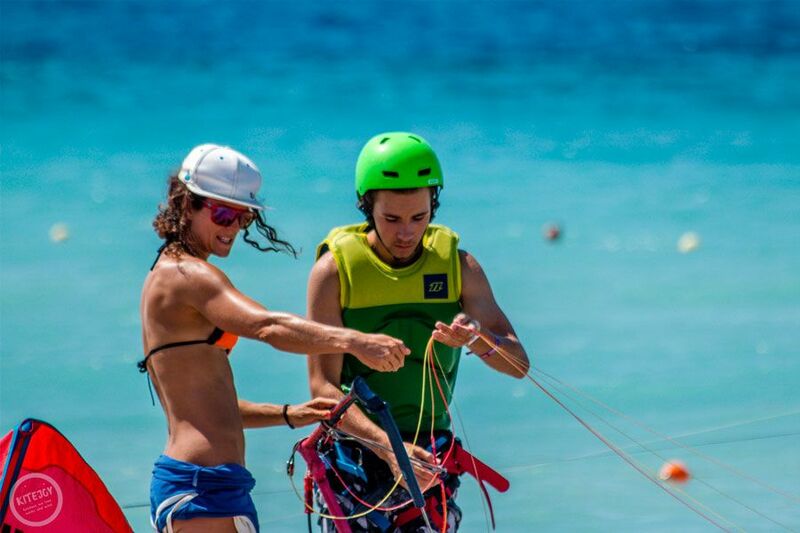 The rescue service, full use of beach facilities and transfers from your hotel are included in the rental price. 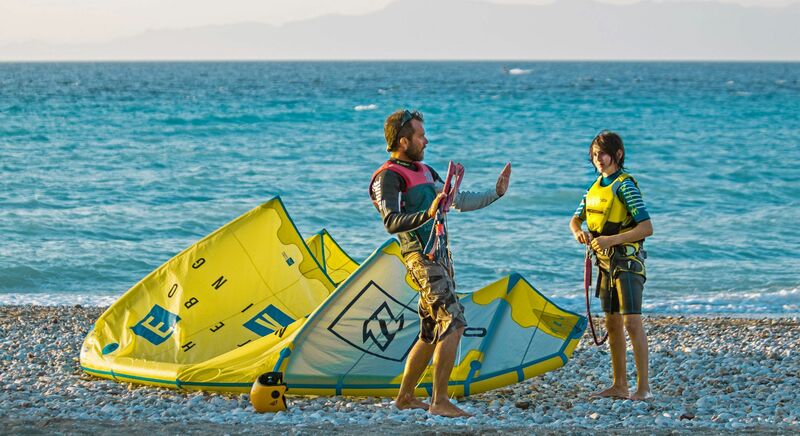 IF YOU ARE COMING WITH YOUR OWN EQUIPMENT you can choose either storage or beach access. 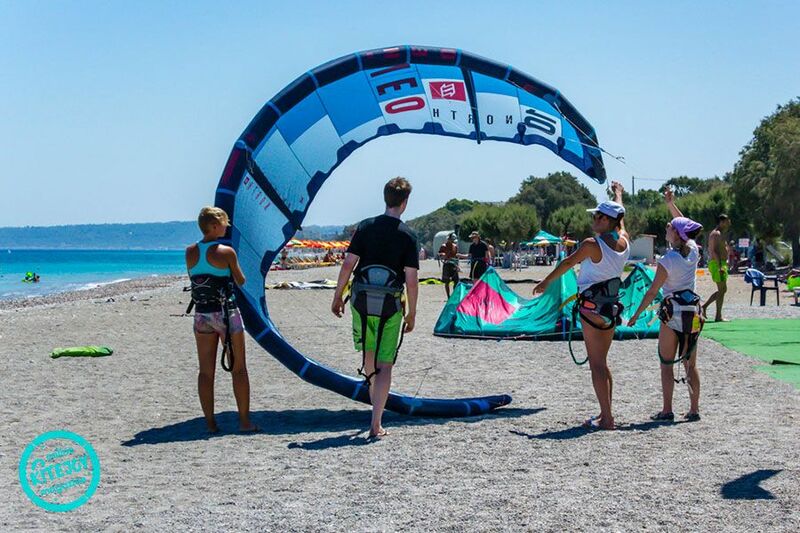 Choosing the storage option will allow you to keep your equipment securely in our station during your holidays and includes full use of our beach facilities and the rescue service if needed. Beach access is for those who want to use our spot and allows you full use of the facilities as well as our rescue service.